Patented gear protecting clutch extends gear and motor life by absorbing high impact forces caused by sudden blade lock-ups. FIXTEC blade clamp for fast and easy blade change without any key. Integrated battery fuel gauge & LED light and an adjustable shoe for optimised use of saw blades. REDLITHIUM-ION™ battery packs are highly durable and feature a fuel gauge to display the remaining charge. Individual cell monitoring in the battery optimises tool run time. 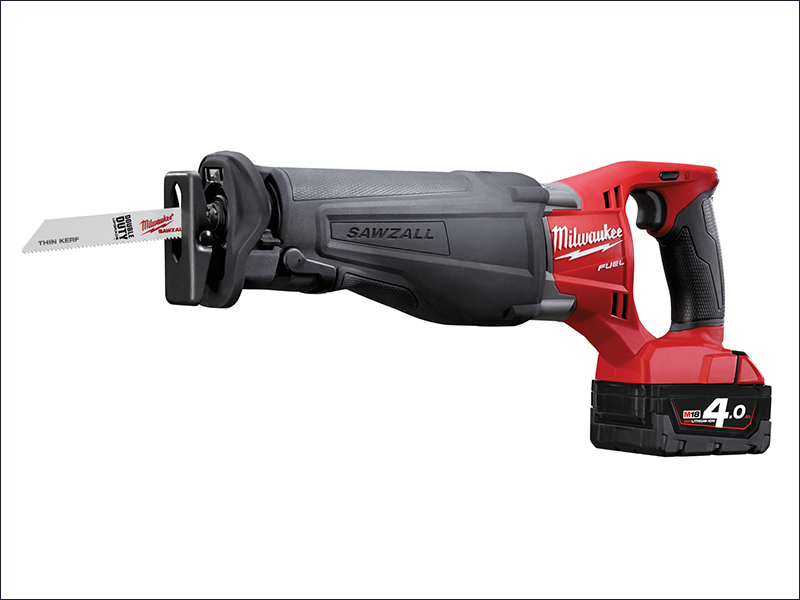 Flexible battery system that works with all Milwaukee M18™ batteries. Strokes At No Load: 0-3,000/min.